May | 2012 | Sorcerers Of The Magic Kingdom: The Blog! This afternoon WDW announced that on June 7th at 1:15pm Orlando Time, the Disney Parks Blog will be hosting a live chat with Imagineer Jonathan Ackley. Although the live chat is not specifically related to SOTMK alone, Disney is asking readers to submit questions by leaving a comment on their page. I encourage everyone to visit the Disney Parks Blog to submit a question as I know I’ll be doing exactly that. As far as I’m concerned this is very exciting for the growing community of SOTMK and I look forward to hearing what he has to say especially since the post is quoted as saying “you’ll have access like never before.” Hopefully the live chat will deliver and we’ll get to the bottom of these rumors. Either way I can’t wait! If you are unable to catch the live chat no need to worry I’ll be sure to post a full recap here. Here’s a quick video of Jonathan Ackley giving a quick rundown of SOTMK. Probably not going to happen, for now at least. With all the rumors flying around that portals are making their way into Tomorrowland I decided to investigate these claims. Some people have gone as far as to say they’ve already been built. So instead of telling them they’re full of it I checked it out for myself. 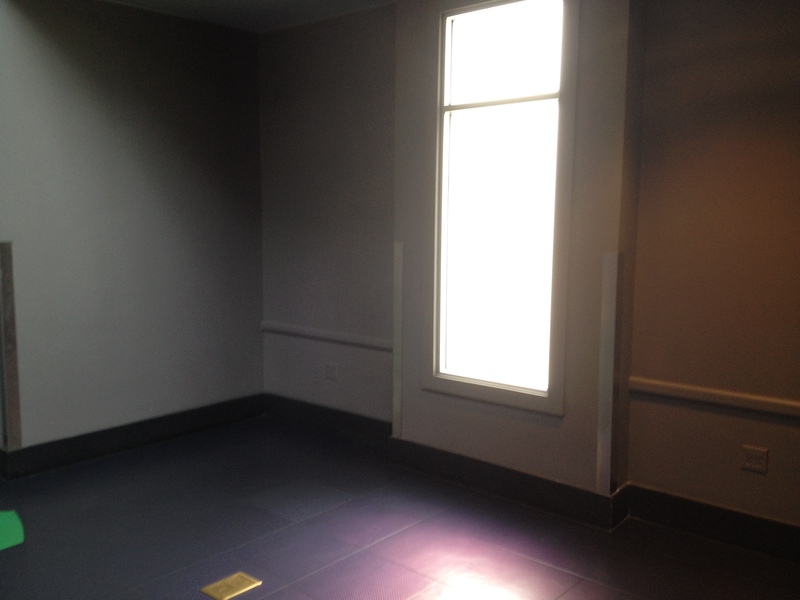 As I expected there was absolutely nothing to see, however I did snap a few photos of areas where portals could possibly appear. Personally I’d rather not see any portals in Tomorrowland despite the potential of a Tron based adventure. Now that would be fan boy dream come true. 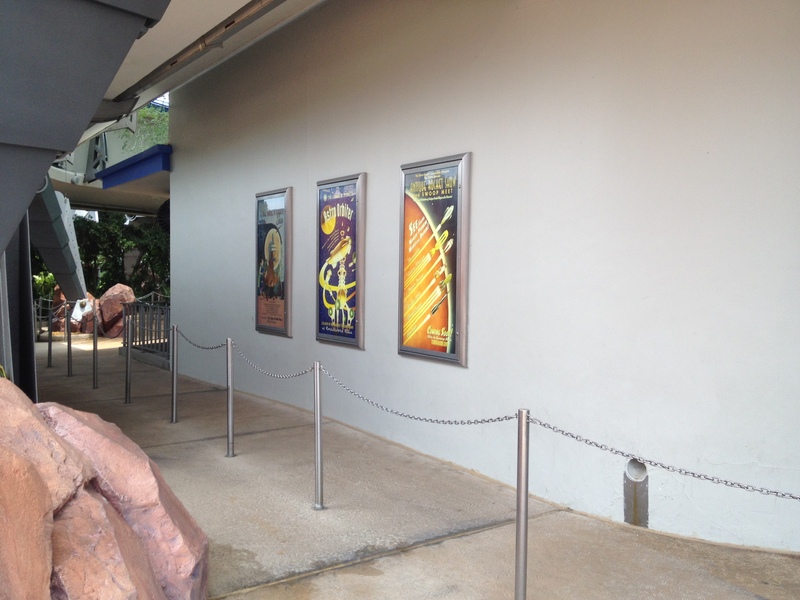 Some have speculated this area as well, using one of the posters as portal. Those are the few that stuck out to me. Honestly I just don’t see it happening. 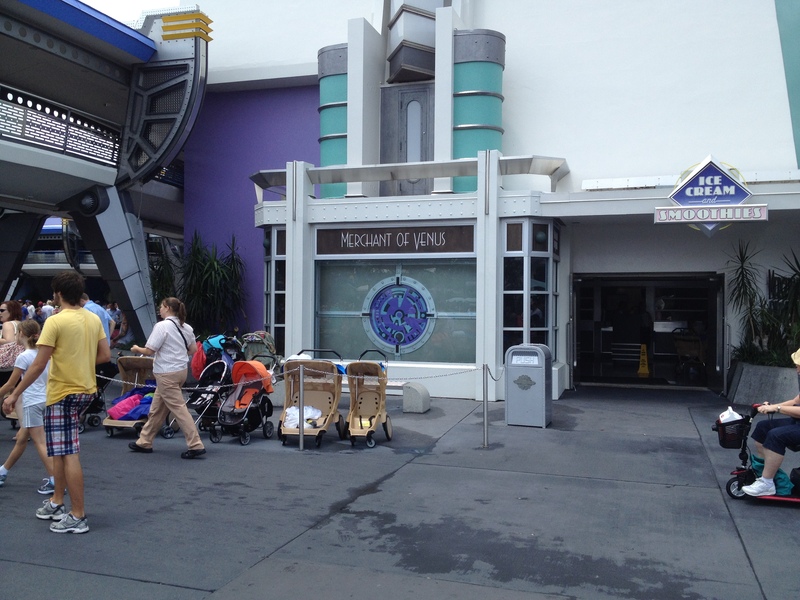 I’d much rather see portals expanded into New Fantasyland as they have a clean slate to work with. I’m sure there will be some expansion in the future I’m just hoping it stays away from Sonny Eclipse. 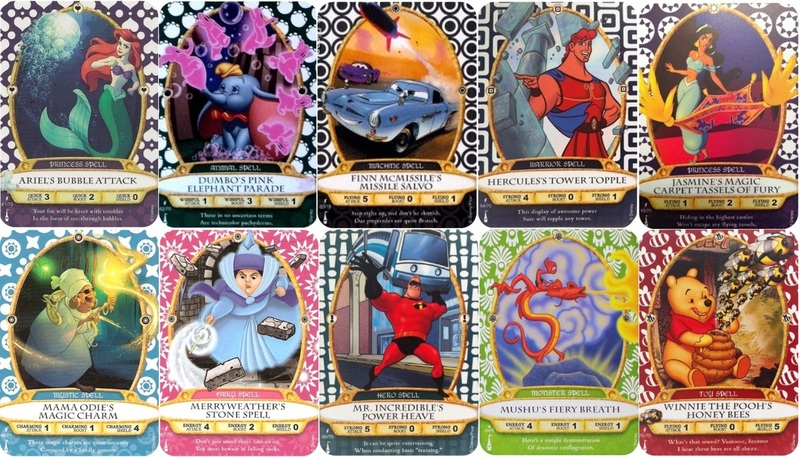 I don’t know about you folks, but I am constantly checking eBay to see how much SOTMK cards are selling for. Lately it’s been just as I predicted, the prices are dropping and at a rapid pace. When SOTMK first made its debut, sets of 1-60 were going for $200-$400, and now you can purchase them for around $70-$100. Why such a decline? Well eBay is saturated with them. 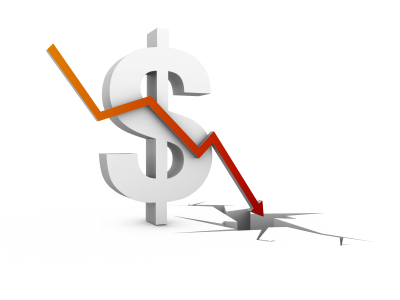 With so many locals able to accrue massive amounts of cards in such little time and everyone trying to make a buck it appears demand is low and prices are falling. Now to my surprise the values of 61-70 have dropped as well. I had been watching several auctions over the past week and the final sale prices ranged from $50 on the low-end and $75 on the high-end. However you’re still getting auctions with asking prices of $150+ for the elusive 61-70 but it doesn’t appear those are attracting any buyers. Even the Cast Member Card has decreased in value, it was just weeks ago that one sold for a ridiculous $699.99. However this evening an auction for a set of 1-60 + Cast Member Card sold for a modest $275.80. I understand this is still an absurd amount, but it’s nice to see those values dropping. As much as I’d like to have the last ten cards I’m still not willing to pay that kind of money. I have a feeling we’ll be seeing those elusive lightning bolts in the very near future, thus ending these ridiculous bidding wars. We often forget that each Sorcerer has a different amount of experience. Some novice some advanced. With that in mind many Sorcerers have been known to get lost while trying to save the Magic Kingdom. Its even happened to me. If you’re new and stubborn like I was this will certainly come in handy! When I was starting out I didn’t like to keep folding and unfolding the map, I found it to be a nuisance. 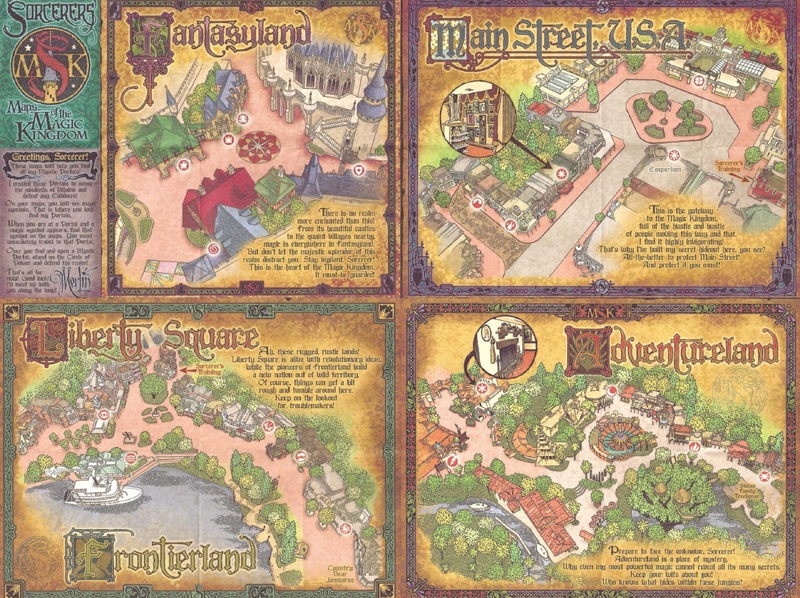 So thanks once again to reader Martin, here is a jpg of all four lands with magical portals. It even fits perfectly in spellbooks! 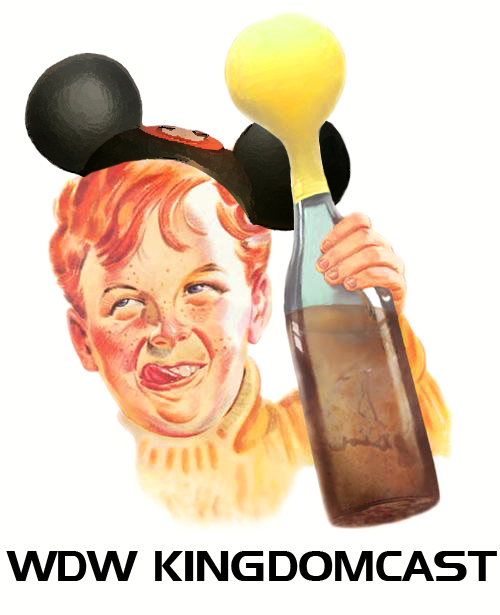 Now your quest to save the Magic Kingdom is just that more efficient! It’s human nature to want something you can’t have. I for one am chomping at the bit for cards 61-70 to be released back into the wild. As I stated in an earlier post if you can find quality images to print you’ll have those cards. I mean it’s not the real thing but it’ll do for now. A wonderful reader by the name of Martin passed along a sweet jpg of cards 61-70 all sized up and ready to go. So no more searching it’s all right here! If you have access to a quality printer, fire it up and you too can be just like the crazy guy I was referring to in this recent post. I arrived at MK much later than I wanted to and ended up staying longer as well however it was worth it. When I arrived I was starting on Main Street and to my surprise I saw Imagineer Jonathan Ackley. I immediately approached him and introduced myself and he couldn’t have been nicer. There were so many questions I wanted to ask him however I restrained myself so he could carry on with his day. I did however mention to him that it would be nice to see the medium/hard levels return and he replied “Maybe someday your dreams will come true.” I chuckled and left it at that, so I guess we’ll see what happens! I will say it was pretty neat to see one of the minds behind SOTMK out and about checking on things. As cool as that was my day got even better. After crowning Tortuga Tavern as the worst portal yesterday I have to say maybe it’s not that bad. I happened to be playing in Adventureland around 5pm and was assigned to that portal. When I arrived I took notice of a trader getting set up for the evening. She had a monster stack of cards as well as a couple of vinylmations. After I took my turn I asked her if there were any cards that she needed, and it ended up she was only looking for betas which unfortunately I did not have on me. We got to talking, and I have to say she is probably one the nicest and coolest people I have ever met while playing this game. She is one of those nice folks that will sit around in Tortuga not just to trade, but will give away card after card to random people. Which I have to say is one of the best parts about this game. There’s nothing better than giving away cards to new players. Yeah you’ll run into some jerks but there are some very kind people and sadly those are the ones that get lost in the shuffle. 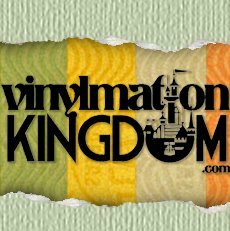 We also got to talking about vinylmation, which I am a total newbie at, and she had some great insight and gave me some good advice for which I was very thankful. I was telling her how I am into collecting the Park Series Vinyls and was needing 1 particular one from the Park 8 series and every time I purchased a new Park 8 I would end up getting that same one over and over and it had become frustrating. She asked which one I was looking for, then proceeded to reach into her bag and gave it to me. I had nothing to trade, nothing to give her, and she expected nothing in return. I couldn’t believe it, she totally made my day. So thanks again Christin, it was great to meet you and I’ll be sure to get you that #5 Beta the next time I see ya! Don’t mind me I’m just going to battle evil while you enjoy your nachos. It came down to the wire but the recipient of The Stinkiest Portal Award is Tortuga Tavern. It came as no surprise to me and I was very happy to see the Emporium finish in a close second with Agrabah Bazzar rounding out the competition. The number one complaint I received about this portal is that it’s in a dining location. Not only is it in a seating area it’s also near the restrooms so you’ll almost always get people walking in front of you while you’re trying to cast spells. When the portal is busy the line backs up to the topping bar and ends up blocking it and the rear seating area. What makes matters worse is that you are supposed to line up out the side door to prevent that from happening. However no one ever follows directions and the line always ends up backing up to the topping bar. So if you’re trying stuff your burrito, you might as well grab some of Tiana’s Hot Sauce and get in line. Many will argue that it is only bad during the lunch rush but I’m sorry that simply is not the case. You have issues in the later hours when the trading madness ensues. 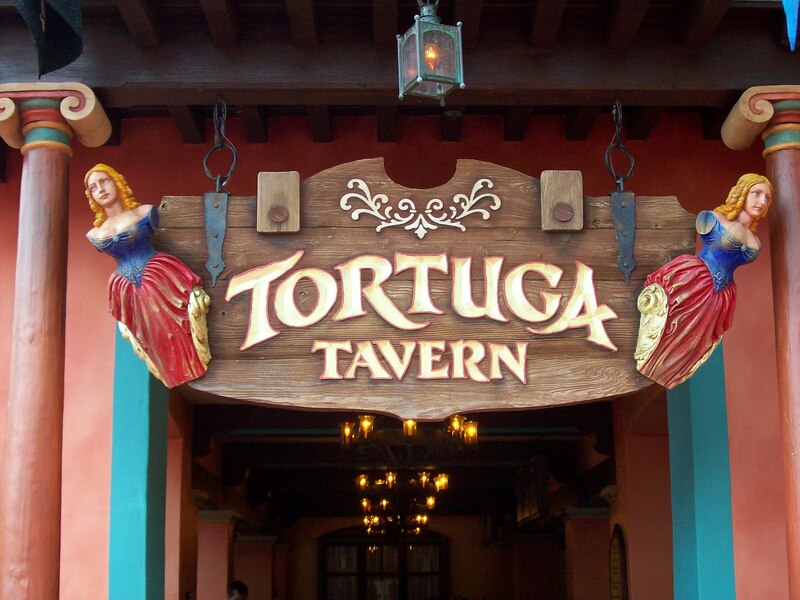 I’ve experienced Tortuga a few times in the late hours and have had good and bad experiences. I received a few emails over the weekend from folks telling me why they voted for TT. One reader said “The people who wanted to trade with us were too pushy” and described the atmosphere as “overwhelming” There were a handful of positive comments as well, another reader said “We met a nice couple there, they gave our son a stack of cards for nothing and he couldn’t have been happier.” As nice as that was to hear, I do agree that it is very overwhelming. Imagine yourself as a first time sorcerer and there are people approaching you left and right to trade. That’s a lot to take in for some folks. Can we make this location better? It’s possible. Of course It’s not going to move out of the restaurant, but we can do our part to fix some problems. It starts with the line, If a CM asks you to line up out the side door, listen to them. They’re just trying to their job, they need to keep the area clean, refill toppings, empty the trash, etc. Remember first and foremost it’s a restaurant people are eating, let them get to the condiments, napkins, & utensils. Finally, If people don’t want to trade, just leave it at that. There are plenty of locals, CM’s, and regulars that will trade with you. There’s no need to be pushy. This is supposed to be fun for everybody, right?